Health personnel in Iraq’s Diyala province rushed more than 100 Shiite militiamen from a Baghdad-sanctioned group backed by Iran to the hospital after they reportedly ate poisoned food at an Iraqi restaurant. 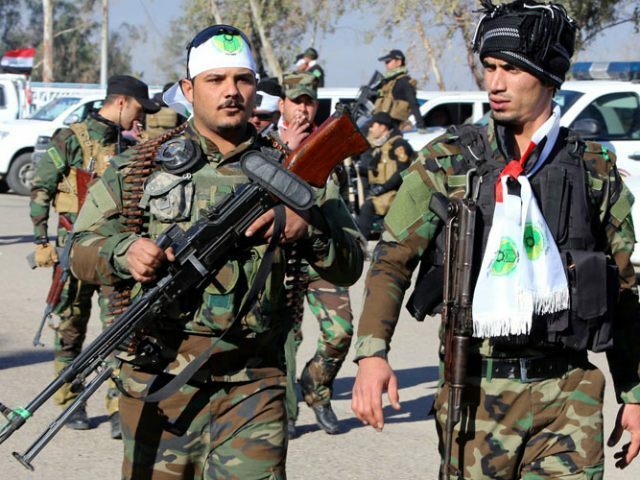 The Iran-backed fighters belong to the Popular Mobilization Forces/Units (PMF/U), an umbrella group of predominantly Shiite militias who have been fighting the Sunni Islamic State (ISIS/ISIL) alongside U.S. troops in Iraq. U.S. military officials have praised the Iran-allied group, also known as the Hashd al-Shaabi, for its contribution to the anti-ISIS fight. Following Baghdad’s declared victory over ISIS, PMF fighters have intensified their call for a complete U.S. withdrawal from Iraq. Some PMF fighters have threatened U.S. forces in the war-ravaged country. Human rights organizations like Amnesty International have accused the Shiite militiamen of committing war crimes against Iraq’s Sunni minority. Nevertheless, the Baghdad-based parliament legalized the PMF as an official component of the Iraqi military. Some analysts predict the Iran-allied fighters will be at the epicenter of the next major conflict in Iraq. “On the issues of the [Iran-allied] militias, I share your concern profoundly, and I think the next war in Iraq is likely to be among the PMF themselves,” Robin Wright of the U.S. Institute of Peace at the Woodrow Wilson International Center for Scholars declared in July 2017. There are between 100,000 and 120,000 PMF fighters in Iraq, according to various estimates.